We have six rooms that share two bathrooms and two cold water showers. They come with screened windows and fans, and some face the tropical garden, while ofthers face the ocean. The rooms share a balcony facing the Caribbean waters. This is a great option for the budget traveler who wants a place on the beach. Room rates do not include tax. $8 is added per person extra up to four. These beautiful rooms come with a hot water shower, screened windows and fans. Rustic bunk beds and high ceilings add to the charm, as does the balcony facing the Caribbean water. Room rates do not include tax. $10 is added per person extra up to four. 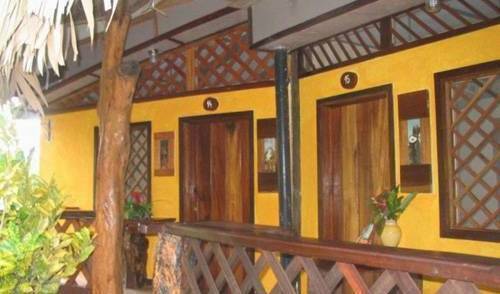 Our tropical garden rooms are more spacious and come with hot water shower, air conditioning and a private porch. 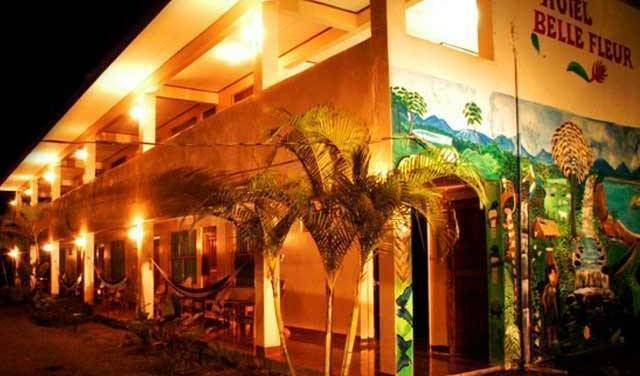 The also have colorful murals on the walls and include artistic woodwork. Two of these rooms can be joined with the neighboring room for large family accommodation. Room rates do not include tax. $10 is added per person extra up to three. This big spacious room comes with a King-size bed, sofa, mosquito net, air conditioning and a hot water shower. It also has beautiful murals on the walls and artistic woodwork. Room rates do not include tax. $45 for one person and $55 for two. We offer two big luxury suites with private balconies overlooking the Talamanca mountains and the Caribbean waters. These two suites come with hot water showers, screened windows, fans, a large living area and fully equipped kitchen. Both have double bunk beds rustically designed. From your private balcony you can enjoy the view of the ocean, jungle and sunset. These apartment suites are perfect for someone who appreciates the space, privacy and artistic woodwork. Room rates do not include tax. $10 is added per person extra up to four. This big cabin is available for larger groups who want to stay together. The cabin has two bedrooms downstairs with two single beds in each. There is a big fully equipped kitchen, a bathroom with a hot water shower, a large living space and a covered porch. Upstairs there is a big covered balcony with a hammock and a large bedroom with five individual beds. With plenty of furniture, this is a very comfortable place to stay. 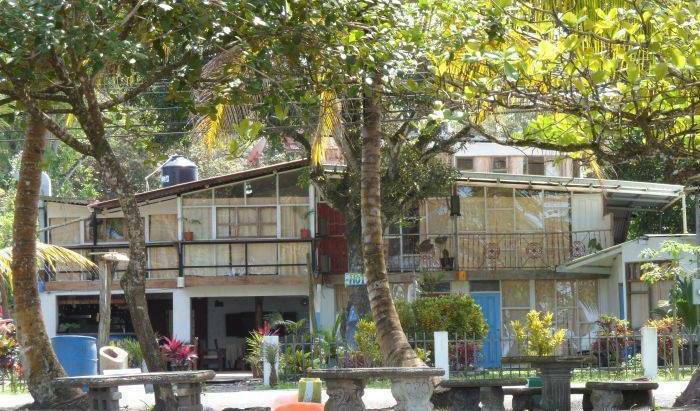 Located just 20 meters from the beach and three minute's walk to the town center, this is a student favorite! Room rates do not include tax. Price is set for one to five people. $5 is added per person extra up to nine.